Does your dog bark uncontrollably when people come over? Are walks no longer a fun experience? Have you already taken an obedience class without much success? Out N’ About Dog Training will come to you to provide private, one-on-one training sessions scheduled at your convenience. We focus on helping you have a well-mannered dog, ready to enjoy the world. Practical cues are taught, giving you skills that you and your dog can use every day. These cues are integrated into all your interactions with your dog and are the cornerstone for a healthy relationship between you and your pet. Beginning training in the comforts of your own home has many benefits. Your dog is in a familiar environment and often is more relaxed and open to training. You don’t have to take your dog to a strange place or a distracting location which can often add more stress on both you and your dog. 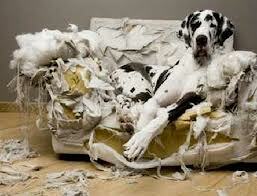 In addition, some dog’s behaviors are situational where they only occur in your home. By having a trainer come directly to your house, you receive the benefits of not only having your dog’s behavior thoroughly evaluated, but also your home environment is taken into consideration. This often directly affects the training process. The entire family can be involved in working with your dog and a personalized training program is implemented that is specifically tailored to your dog’s temperament and your individual needs. Private training also offers flexibility in training locations and can occur wherever you want to take your dog. You will be shown how to handle real life situations with your dog and not be limited to the confines of a training facility. 4 sessions at $125 each: $500.